In Java, we inherit one object using the abstract keyword, Spring also supports us to do the same thing in itself. 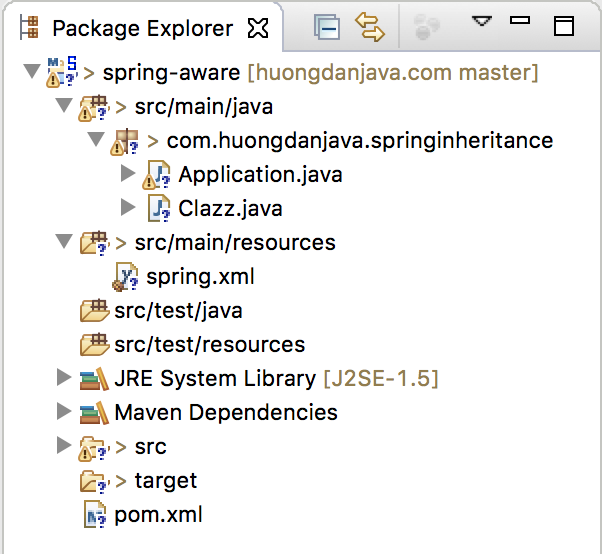 This tutorial will show you how to use bean inheritance in Spring. To be able to use inheritance, at least the beans that are declared in the Spring container must have a common feature. So in the Clazz class above, I declare a field that is common to all bean fields, schoolName. As you can see, although we do not declare the schoolName field for the clazzA bean, the clazzA bean still has the field name because it is inherited from the general beanClazz.